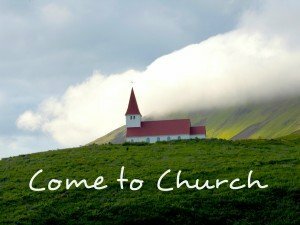 Should we invite non-believers to our church services? So far through the three parts of rereading the book of Acts (part 1 covers Acts 1-5, part 2 covers Acts 6-9, part 3 covers Acts 10-11), I don’t see a clear answer to the question. As I have looked at the gatherings of the disciples so far, what is clear so far there is no pattern of inclusion or exclusion, or if it is even possible to make a conclusion. They are gatherings where the word of God is proclaimed, gifts of the Spirit are manifested, and elders are set apart with fasting and prayer. The only hints of locations are a few references to the synagogue. In today’s section, I’ll continue in Acts as I watch the church develop in various cities as the gospel goes forth. It was about this time that King Herod arrested some who belonged to the church, intending to persecute them . . . . So Peter was kept in prison, but the church was earnestly praying to God for him. . . . . he went to the house of Mary the mother of John, also called Mark,where many people had gathered and were praying. Luke uses the word church to identify the disciples, not to speak of a specific gathering for worship. The use in verse 5 may refer to a specific meeting in the house of Mary that is described in verse 12. It is likely that this gathering for a prayer meeting was made up only of known disciples, but that is a a likely inference rather than a clear statement. It doesn’t address the question about inviting the unsaved to our church meetings to hear the proclamation of the word of God. Now in the church at Antioch there were prophets and teachers: Barnabas, Simeon called Niger, Lucius of Cyrene, Manaen (who had been brought up with Herod the tetrarch) and Saul. While they were worshiping the Lord and fasting, the Holy Spirit said, “Set apart for me Barnabas and Saul for the work to which I have called them.” So after they had fasted and prayed, they placed their hands on them and sent them off. Luke’s use of the word church refers to disciples in Antioch. Was it the one church meeting (specific event), or a general description of the church as disciples with various meetings in various parts of the city? Verse 2 moves us to a specific meeting for the setting apart of Barnabas and Paul. This passage shows only believers (prophets and teachers) by name. But this verse doesn’t address the question – are unbelievers present or excluded? It’s not Luke’s point. As Paul and Barnabas were leaving the synagogue, the people invited them to speak further about these things on the next Sabbath. When the congregation was dismissed, many of the Jews and devout converts to Judaism followed Paul and Barnabas, who talked with them and urged them to continue in the grace of God. On the next Sabbath almost the whole city gathered to hear the word of the Lord. . . . When the Gentiles heard this, they were glad and honored the word of the Lord; and all who were appointed for eternal life believed. . . The word of the Lord spread through the whole region. Paul had been teaching in the synagogue in Psidian Antioch. He preached a simple message and people believed. He was invited to return and it is said almost the whole city gathered to hear the word of the Lord. I think it is very likely that unbelievers and believers were in this mix. They had come to hear the word of God. Some believed after hearing. What is clear is that this is a gathering of people. 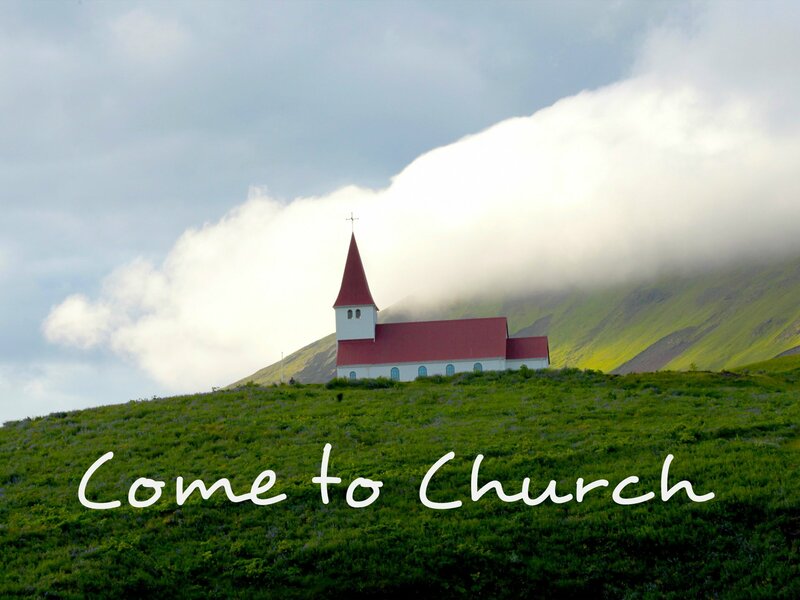 If one holds that unbelievers are not to be invited to church, then this meeting must not be church. So Paul and Barnabas spent considerable time there, speaking boldly for the Lord, who confirmed the message of his grace by enabling them to perform signs and wonders. There is no mention of a place where this occurs other than the synagogue. I would imagine that the believers and non-believers continued to mix at gatherings to hear the word of God taught during that considerable time there. Luke doesn’t record any kind of division or separation into “believer only group” and mixed group. They preached the gospel in that city and won a large number of disciples. Then they returned to Lystra, Iconium and Antioch, strengthening the disciples and encouraging them to remain true to the faith. “We must go through many hardships to enter the kingdom of God,” they said. Paul and Barnabas appointed elders for them in each church and, with prayer and fasting, committed them to the Lord, in whom they had put their trust. After going through Pisidia, they came into Pamphylia, and when they had preached the word in Perga, they went down to Attalia. From Attalia they sailed back to Antioch, where they had been committed to the grace of God for the work they had now completed. On arriving there, they gathered the church together and reported all that God had done through them and how he had opened a door of faith to the Gentiles. And they stayed there a long time with the disciples. Luke gives generalized statements about people coming to faith in various cities, the appointment of elders, prayer and fasting. There are no details here to suggest a “believers only” worship gathering, except maybe in the final sentence. Do you want ongoing studies delivered to your inbox? Each week, I send out new articles to help you grow your church through personal evangelism, invitations, improving your greeter ministry, and refreshing your vision for church hospitality. Check out 7 reasons to Sign up here.